Premier Air Colorado is a full-service heating, ventilation and air-conditioning contractor for both residential and commercial customers. 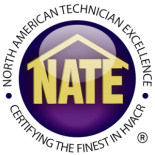 Our technicians are certified and our installers have the training, tools and experience to handle any furnace repair, AC repair or new install on a furnace or air conditioner or installing a programmable thermostat. We have a complete range of heating, air-conditioning and air-quality services that will improve your indoor air. Call us at 303-993-9060 and to learn more about our services and specials visit www.premieraircolorado.com .